The Apprentice Academy is a Manchester based training provider who delivers a range of apprenticeships, qualifications and additional services to support employers with all their talent planning, succession and workforce development needs, from trainee right up to director level. 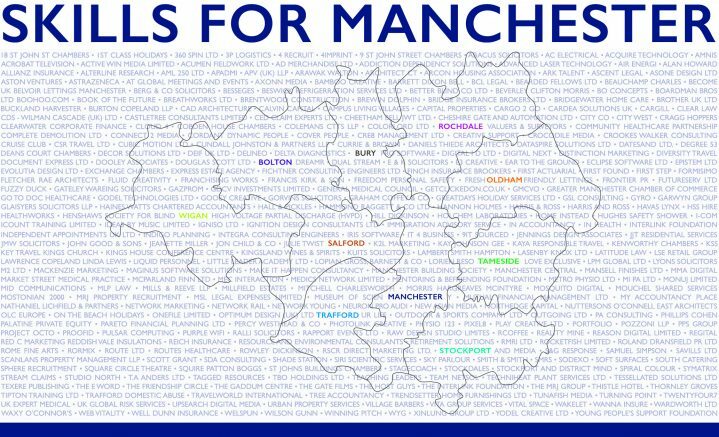 Our head office is based in Manchester but we deliver programmes throughout the UK and Ireland. Working alongside our sister company PWG Training we have trained over 3000 leaders and managers, delivered over 1000 apprenticeship programmes and worked with over 700 organisations from large corporates to small fast-growing businesses. The apprenticeships we offer include Leadership & Management, Accounting & Finance, Business Administration, Procurement & Supply and Housing and Property Management. The Business, Finance and Professional Services (BFPS) sector is one of the largest sectors in the UK economy and is forecast to experience significant future growth. Between 2015 and 2035, Business, Financial & Professional Services are expected to create almost half (47.8%) of all new jobs in Greater Manchester. Over the next ten years, all these sectors are likely to change considerably as they are affected by technology, market trends and competitive forces. In order to maintain our competitive position, we need to upskill and develop our workforce. Our training and coaching services have been designed to help individuals and organisations reach their full potential in an easy, flexible and affordable way. Our courses and programmes run throughout the year and are designed to fit around busy work schedules. It’s about enjoying the learning journey, enhancing work based skills, meeting like-minded people, increasing performance and achieving personal and professional success. All our courses are carefully crafted combining multiple learning methodologies typically delivered over a 12 to 18 month duration. The programmes are easily adapted to ensure they meet the specific skills needs of each individual. Simply put, it’s impossible for our learners to be the same at the end of the programme. It just can’t happen! The Apprentice Academy has been trading for over 10 years and has a long history of helping individuals to achieve their full potential, and our success rates are amongst the highest in the country. 92% of our learners successfully achieve their apprenticeship which is over 20% higher than the regional and national average. >95% of our trainee apprentices secure permanent jobs at the end of their apprenticeship or progress into further or higher education. Many of our trainee apprentices win awards for the outstanding work they do. See some of them here. We are on the ‘Register of Apprenticeship Training Providers’ (RoATP). To be included on the new register, we had to go through a rigid application process to demonstrate we have the capability, capacity and financial status to deliver apprenticeship programmes that adhere to all the regulations. Apprentices progressively acquire a very good range of vocational knowledge, skills and understanding and they make good progress. Career coaches and trainers provide high levels of support to apprentices. In order to maintain high quality standards we operate a very robust Self Assessment Report process which takes into account all elements of the apprenticeship service we provide. Our team meets monthly to review all procedures and progress made. The Apprentice Academy holds the Matrix standard for the delivery of Information, Advice and Guidance and is an ILM Approved Centre which enables us to deliver a range of highly regarded, industry recognised leadership and management qualifications.